The master's degree in Economics, Regulation and Competition in Public Services provides specialized training in the professional area of economics, regulation and competition in public services for engineers and holders of bachelor's degrees and pre-EHEA undergraduate degrees in economics, law and administration. The degree provides specialized training in the regulation of network services (energy and telecommunications), in the provision of territorial services (water and transport) and, more generally, in the reform of policies on the regulation and introduction of competition in the management of public services. Initially taught as the UB-specific master's degree in Economics and Regulation of Public Services in the academic year 2001-2002, the course will gain official status as a university master's degree recognized across Spain and throughout the EHEA for the academic year 2013-2014. The master's degree in Economics, Regulation and Competition in Public Services is a professionally-oriented programme designed to prepare holders of an undergraduate or bachelor's degree in economics, law or business administration for careers in the economic and legal areas of public service provision, also known in the European Union as services of general interest or universal essential services. To this end, the master's programme offers specialized professional training in the field of public service economics and law, competition policy, market regulation of network services (energy and telecommunications), the provision of regional public services (water and transport) and public services reform policy. The course is designed to provide students with the skills and competences to address the problems encountered in public services in a confident and instinctive manner. In particular, the programme prepares graduates to deal with problems related to the liberalization of economic public services, leading to freedom of establishment and competition among providers in the provision of certain services. 55 euros per credit (99,90 euros for students who are not EU nationals and do not currently reside in Spain). Fees for the academic year 2018-2019. Candidates ideally suited to this master's degree are economists, lawyers and engineers with expertise and professional experience in various sectors of public services and economic services of general interest (water, telecommunications, transport and energy) or specialized in the promotion and defence of competition. Candidates should be seeking the academic training to consolidate their professional experience and to develop an advanced understanding of the latest developments in research on regulation, competition and public service provision in liberalized markets. Applications will be accepted from any candidate in possession of the necessary qualifications to enrol in a university master's degree in Spain, according to the current regulations. Priority will be given to graduates in economics, public management and administration, law, and public administration, and other bachelor's degrees in related areas. Holders of degrees in science and engineering disciplines will also be given positive consideration. A degree issued by a higher education institution within the European Higher Education Area framework that authorizes the holder to access university master's degree courses in the country of issue. A qualification from outside the framework of the European Higher Education Area. In this case, the qualification should be recognized as equivalent to an official Spanish degree. 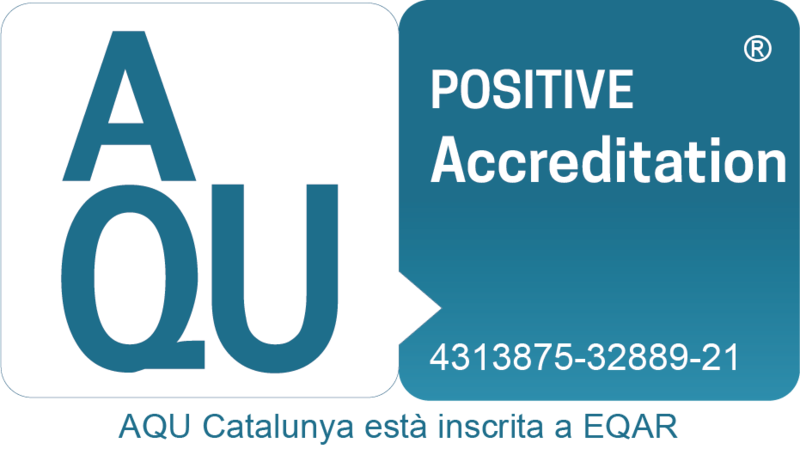 If it is not recognized, the University of Barcelona shall verify that it corresponds to a level of education that is equivalent to official Spanish degrees and that it authorizes the holder to access university master's degree courses in the country of issue. Admission shall not, in any case, imply that prior qualifications have been recognized as equivalent to a Spanish master's degree and does not confer recognition for any purposes other than that of admission to the master's degree course. Successful candidates who achieve lower-than-desired scores in the standardized numerical admissions test may be required to complete bridging subjects; specifically, the subjects Introduction to Economics (6 credits) and Statistics for Economics and Business (6 credits) from the syllabus of the bachelor's degree in Economics offered by the Faculty of Economics and Business. Additionally, candidates must use Spanish on a regular basis or be able to demonstrate their ability by passing a Spanish proficiency test. Prospective students should submit an admission request using the online form. Successful candidates may complete the pre-enrolment process and reserve their place on the course. Late applications will be considered after 10 May if places remain available. The Admissions Committee announces its decisions by the end of the four admission periods. Once candidates have received confirmation of their admission to the course they should complete the pre-enrolment process and reserve their place. All documents must be delivered in person or sent by ordinary mail, except the ADEN Admission Test for Business Schools, which can be accessed online. Office hours: Monday to Friday, 10am to 1.30pm and 4pm to 7pm. Academic merits: academic record from bachelor's degree and previous postgraduate studies. Professional experience in the provision of public services (water, energy, telecommunications, transports, etc.) and in the regulation, reform and management of competition. Standardized numerical and verbal reasoning test: ADEN aptitude test or Graduate Record Exam (GRE). English level test for students who are not native speakers of English. Spanish level test for students who are not native speakers of Spanish. Letters of reference from academic or professional referees. The Admissions Committee takes the average score from the academic record for each candidate's qualifying degree, which is then converted into a mark from 0'10 with one decimal place. They also take the average score from the academic record for any completed postgraduate studies, which is converted into a mark from 0'2 with one decimal place. In addition, if one or more letters of reference indicate merits that warrant specific recognition, a mark from 0'1 with one decimal place will be awarded. The total score for academic merits is the sum of these marks. The Admissions Committee will focus particularly on the extent and quality of candidates' professional experience and the potential to develop their skills further. Particular credit will be given for experience in regulatory bodies and organizations dealing with competition law, as well as public service providers. The Admissions Committee evaluates candidates' professional experience in the areas of regulation or competition of public services, based on their years of experience and degree of responsibility in public organizations or service providers. A mark of 0'10 with one decimal place is awarded on the strength of the Committee's evaluation. This evaluation will also take into account letters of recommendation that make specific reference to the candidates' professional merits. All candidates applying for admission to the course must take the ADEN Admission Test for Business Schools and an English test or the GRE, even if they already hold a postgraduate degree. The resulting scores are sent to the Admissions Committee before the close of the application period. The Admissions Committee does not establish a minimum score for the ADEN test or the GRE. The percentile of each candidate's result is converted into a mark of 0'10 with one decimal place. Alternatively, students should provide evidence of having achieved a grade between A and C in the University of Cambridge Certificate in Advanced English. The score for the English test will also be transformed into a mark between 0 and 10, with one decimal place. This mark will be integrated into the overall evaluation. The Admissions Committee evaluates applications, decides which students to admit and notifies successful applicants on the following dates, depending on the application period: 15 de January, 28 de February, 30 April and el 30 de May. In exceptional circumstances, decisions on admission may be announced after 30 May. Candidates have a period of 10 days in which to appeal the decision of the Admissions Committee. Rulings will be issued within 10 days following receipt of the appeal. Pending approval of the general University of Barcelona academic calendar.